All Nippon Airlines, or ANA, is the second biggest airline in Japan after the flag carrier Japan Airlines. It consistently receives high ratings from both customers and industry organizations, such as Skytrax. The praise is well-deserved as the airline offers superb service in all classes, both in the air and on the ground. ANA’s frequent flyer program, Mileage Club, has recently undergone massive changes, switching from a distance-based to a zone-based program. While some of the great deals offered by the old Mileage Club no longer exist, the new program has some sweet spots of its own. The new program is also complicated. It has two different standard redemption charts: one for their own flights, and another for Star Alliance and other partners. Mileage Club also has a seasonal chart with the dates for low, regular and high season in different zones, and complex stopover and layover rules. In addition to being a member of the Star Alliance, the biggest airline alliance in the world, ANA has partnerships with several other carriers, including Eithad, Garuda Indonesia, Germanwings, Hawaiian Airlines and Virgin Atlantic. 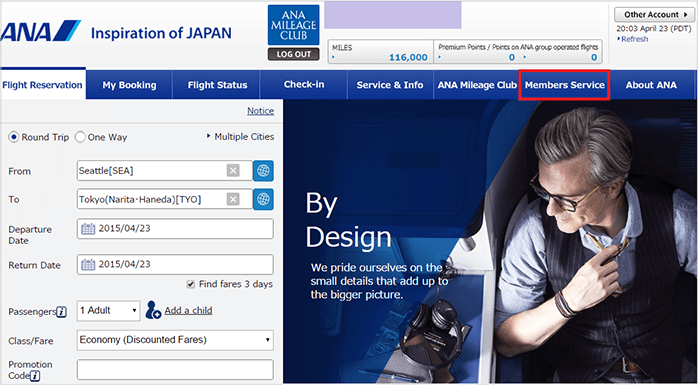 When Should You Use ANA Mileage Club Awards? 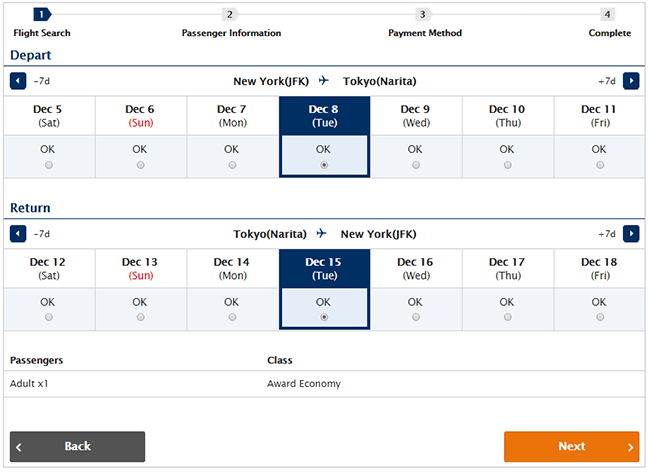 Flights on ANA from the U.S. to Japan are only 40,000 miles in economy and 75,000 miles in business class roundtrip during the low season. There’s a $180 fuel surcharge, plus taxes and fees. 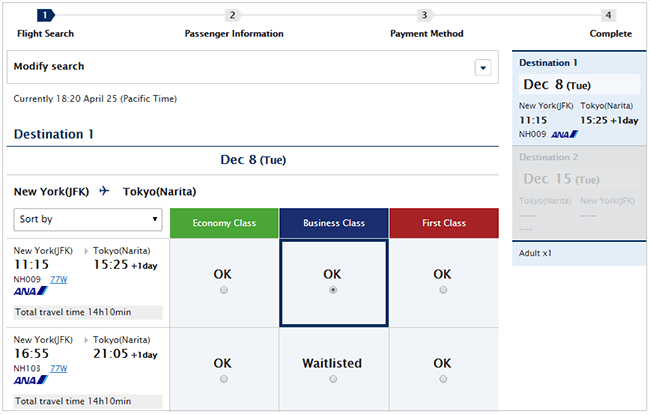 Also during the low season, roundtrip flights on ANA to other countries in Asia are 45,000 miles in economy and 80,000 miles in business class with a $61 fuel surcharge. Those routes include a free stopover in Japan. Flying on partner LOT Polish Airlines to Europe only costs 88,000 miles roundtrip in business class. The fuel surcharge is $120. Round-trip business class tickets to Brazil, Chile or Argentina on TAM are only 80,000 miles with no fuel surcharges. Unlike some airlines, ANA levies the same fuel surcharge for economy and business class tickets. The next screen displays a week of flights, including three days before and after the requested dates. Choose the best available dates and click “next” to finalize your purchase. Pick your outbound flight and hit “next.” If you don’t see the flight you want, click “modify search” and change the date. 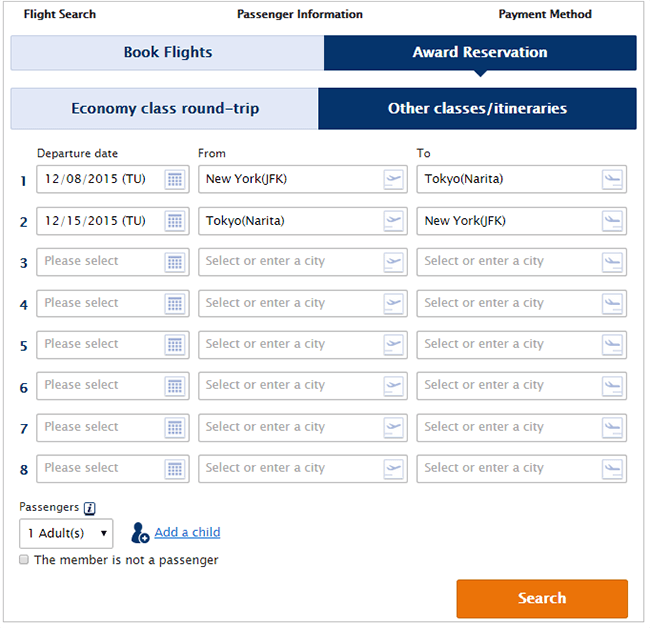 Go through the same process to choose your inbound flight. 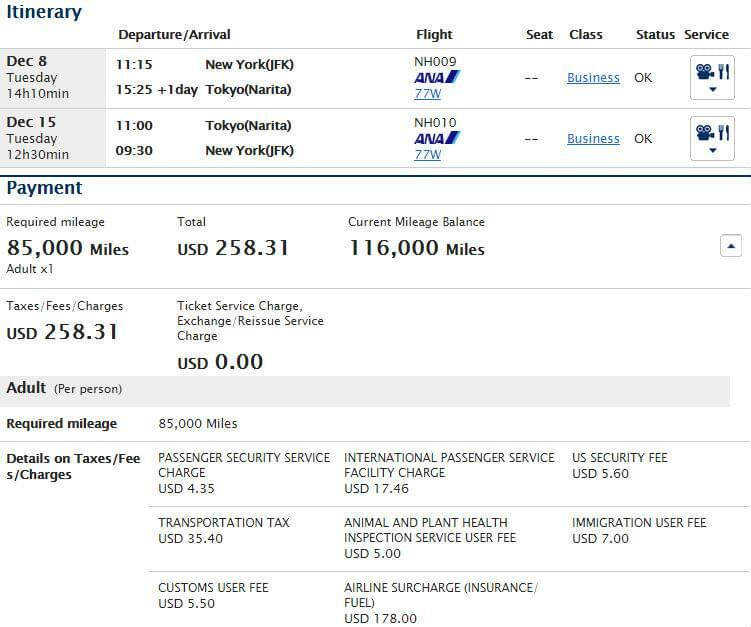 After you decide on your itinerary, you’ll be taken to the payment screen summarizing the charges on the flight, including taxes, fees and surcharges. Input your payment information and finalize your purchase. 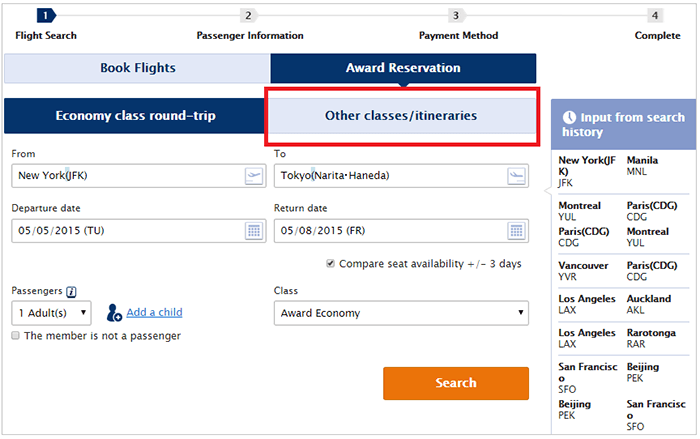 Note that booking complex itineraries using stopovers might not work on the ANA website. If that’s the case, you’ll need to call. Monday through Friday: 5:30 a.m. to 6:00 p.m.
Saturday, Sunday and holidays: 5:30 a.m. to 2:00 p.m.
At the time of writing, ANA’s interface is new and a little buggy, so you might have to call in order to complete your booking. ANA agents are usually well-trained and very helpful, but it doesn’t hurt to be prepared and write down any flight information you’ve found while researching online before calling.